A powerful bactericide for one stage cleaning and sanitizing. All in One Antibacterial Surface Cleanser, supremely effective against bacteria and biofilms. Safe for use in food preparation areas. 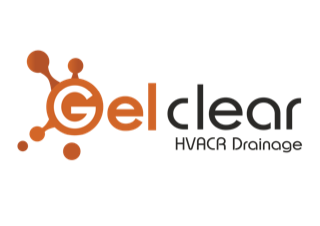 Gel-clear condensate drain tablets for Fan Coil units, the simple, effective solution to keeping condensate drains working. Gel-clear Micro-tabs are designed for residential splits and tank pumps preventing biofilm blockages and improving efficiency. Using natures biocide, Tea Tree Oil, Gel-clear green strips kill airborne and waterborne microbes, leaving a fresh pleasant smell. Eco-clear Refrigerator Sanitiser’s fragrance-free and extremely powerful formulation prevents biofilms that allow bacteria, mould and odours to survive. A mug, with special properties, you’ll just have to ask us! Gel-clear condensate drain tablets stop water leaks, reduce risks, reduce maintenance costs and reduce operating costs. A cleaning aid for the deep cleaning of food retail display chillers. A specialty tool used to straighten the bent fins of a condensing unit for an air conditioning, refrigeration or heat pump system.